When I am asked about traveling and quilting I think of two things: fat quarters as souvenirs and shop hops. The Minnesota state shop hop Quilt Minnesota is starting on Friday. (www.quiltminnesota.com) Since this is the first time that I will live in MN for the shop hop, I am excited. I will give you my tips for having fun and doing a small section in a day. I think that it helps to plan your route ahead of time. This helps you to know how much time you have to look in each of the shops or in the towns that you visit. I am not one that likes to look for a long time at shops, but has a list of fabric to find or a fat quarter that catches my eye to buy. Have a driver or companion. Having someone else with you makes it more enjoyable and the time go faster. Trust me I have done many without a buddy it get boring fast! Bring snacks for the trip, it helps to keep the stops to a minimum. 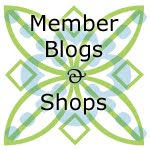 The biggest point is to have fun and get as much knowledge and inspiration from seeing all the different independent quilt shops and the creative items that they have in the stores. See you on the road. Good topic! Mom (Sharon) and I are going to do our first ever MN Quilt Shop Hop this year; we're hitting the Lower Mid MN section on Friday if all goes as planned. Just a follow-up in case anyone's interested. Mom and I finished our section...but on the second day because Gruber's in Wait Park is just HUGE and it swallowed us up for hours. We took Caitlin's advice and packed a lunch (Paynesville, MN has a nice park with bathrooms and covered tables, by the way.) It was a a really fun experience and we found all sorts of treasure. Every one of the stores had free refreshments too. We kept hopping off and on the next couple of weeks but were pretty satisfied with our section finishers' prizes. Now we know where more shops are and are sure to return to our favorites again.